November - "Show Us Your Shorts"
"SHOW US YOUR SHORTS" was enjoyed by all who attended. SacVIPs thanks you and those who shared their best project under 10-minutes at our Nov. 24 meeting. Narrative, commercial, music video, documentary, news -- Whatever... we want to help you share your best work during our November meeting. Watch here for more information and possible link to view them at a later time. Thanks again to those who came out and supported our filmmakers. It's not just about getting the image "right." it's about not spooking the interviewee. Award-winning Director of Photography, Mark Herzig offers us tips for creating engaging interviews from (what could be) uncomfortable situations. Mark will show practical application from his new feature, "Free-Form, Baby!" A documentary film about free-form radio and the people behind the microphones. Set against the background of the political and social turmoil exacerbated by the Vietnam war, and predicated historically by the "boss jock" era, "Free-Form, Baby!" describes how a small group of weirdos, savants, entrepreneurs, and artists found each other and unified around their abiding enthusiasm and love for radio and music. How they found each other, and discovered that they were following similar muses, is a rich story that has never truly been told; one that connects an old media model to a new conception, and continues to have a variety of effects on how we live, communicate, and understand information. Featuring: (so far) Howard Hesseman, Joel Selvin, John Kay, The Firesign Theater, Russ Solomon, Peter Albin, Marcia Ball, Ben Fong-Torres, Dan Hicks, Elvin Bishop, Country Joe Macdonald, Barry Melton, Sammy Hagar, Robert Cray, Bill Champlin, Augie Meyers, Flaco Jimenez, and the men and women who invented modern radio . . . and changed the world. Mark is well known for his well crafted commercials, corporate projects, and fictional narratives. 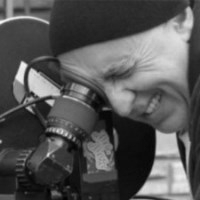 He taught cinematography at the Academy of Art Institute in San Francisco, and at the PCFE Film School in Prague, Czech Republic, and is currently writing "Practical Cinematography," based on his lecture notes while teaching Cinematography at California State University, Sacramento. Be among the first 5% of our industry to see the new Panasonic 4K Camcorder! Our Regional Sales Representative for Panasonic Pro, Rick Sutherland will be presenting and tell us about the camera and we will even show-and-tell a few shots with the camera on the HD projector to demonstrate the versatility of this new product. We are going to talk about the benefits of 4K production and why the industry is moving there so quickly for acquisition. Is it right for you and when should you consider the switch? Everyone will have a chance to get hands-on, with a personal opportunity to pick it up and check it out. Here is a link to the full brochure. At $4,195.00 from VMI, Everyone is going to want one! Panasonic is excited to announce the AG-DVX200PJ, the first in a new generation of multi-format 4K/UHD, HD and SD camcorders. Designed from the ground up as a large format camera system, the AG-DVX200 provides a DP's favorite: shallow depth of field and selective focus. Yet the integrated 13x zoom allows for easy control over image framing, as well as the ability to track your subject even in fast action. 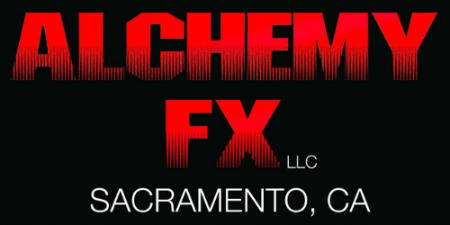 Alchemy FX LLC, located in Sacramento CA, provides conceptual design special fx make up, mechanical fx, creature fx, stunt weaponry and firearms, custom props, blood hits, atmospherics and rentals. See how to incorporate effects the camera and actors actually see. Add both practical effects and special effects make-up in your productions. Practical FX and real FX make up are making a huge come back in the industry, especially with the release of the new Star Wars movie this year and other huge practical films like Mad Max: Fury Road. One of the artists from Alchemy Fx will give tips and advice on how to get the most bang for your buck when putting effects in front of your camera, instead of "fixing it in post." Join us for Matt Thompson, creator of Bloodline The Movie which he recently pitched to Lionsgare. Learn how he developed strategies for Distributing his films through conventional and non-conventional means. Matt has appeared in over 10 feature films. He has led or co-starred in half, working with some of the industry's leading names. In 2009, Matt made his feature directorial debut with the feature film, Listen to Your Heart (2010), starring Cybill Shepherd, Shirley Knight and Ernie Sabella. In the same year, Matt helped produce another film in which he starred and went right onto the stage in "A Streetcar Named Desire", as the lead, "Stanley Kowalski". The play received a 5-star review from the Sacramento News and Review. Shortly after, Matt went on to produce and direct his screenplay, Bloodline (2013), in which he also plays the lead role. The 2010 March issue of Sacramento Magazine named him 1 of 15 people to watch early in their careers on their cover story. With his love for being in front and behind the camera as an actor and director, Matt continues to grow his career. Although busy with post-production for the last film, Matt has ambitious goals set already to produce the next. Special Thanks to everyone who made this possible and to all those who joined us to make it a success. Check out some of the pictures here and on our Facebook page. 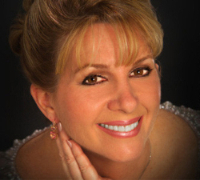 SacramentoVIPs welcomes Jeanne Marie is often described as a “Celebrity Make-up Artist” or “Make-up Artist to the Stars” as its speaker this month. She holds a license with the state of California as an Esthetician and Certified Paramedical Esthetician. Jeanne Marie studied to perfect her make-up skills in Los Angeles and Hollywood with such make-up legends as Maurice Stein, owner of “Cinema Secrets” and Johnny Carson’s famous Make-up Artist and instructor, Harry Blake. She also had the fortune of studying with NBC’s Los Angeles lighting director, Bill Walsh. With over twenty years in the business, she has a long list of clientele including The White House, as make-up artist and skin care consultant to the president and vice-president, several governors, senators and congress persons. She was simultaneously in charge of ABC, CBS and NBC make-up budgets for on-air media in Sacramento, California. Make-up for live television is one the most challenging of all make-up art, and one of her greatest passions, having worked on several live shows, including recently with Sacramento and Co., celebrating their 5th Anniversary of their show. Jeanne Marie resides in Elk Grove, California. She is the owner of “International Media Cosmetics” and “HD Quality Media Make-up”, as well as a paraben-free, anti-aging skin care line of cosmetics under the “Jeanne Marie Cosmetics” line. Doug Stanley spent years as part of the fishing team for the television show "Deadliest Catch" as a producer. Now this Sacramento-area native has founded his own production company, Ridgeline Entertainment in Folsom. Attendees will learn what his new Folsom studio is up to and Stanley will share the story of his career path and future plans. Adding a new chapter to a long and successful career as a Primetime Television Producer, multi-Emmy Award winner and producer, Doug Stanley is the visionary and architect behind the deeply talented team at Ridgeline Entertainment. Stanley has produced other top shows for many networks, including FOX, ABC, Animal Planet, and CMT. In the past year alone, acting as a showrunner and executive producer, he delivered 34 episodes of new programming to national television. Prior to life in the television industry, Stanley led an active "outdoor" life. 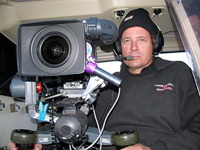 This experience has played a major role in his ability to successfully "bring home the goods" when it comes to television production in the most extreme environments. Stanley has an interesting history in the field of 3-D media. Stanley is one of the few production executives with actual experience in #D television content creation, delivering a host of 3D "firsts." Stanley will be sharing some of his knowledge and tips. Bring your questions and learn from one who knows. Brand Motivation: Increase your total sales by enhancing your branding presence. A successful entrepreneurship is ultimately determined by your own motivation to work efficiently and to make intelligent decisions. In short, focus is key. However, these traits can only get you so far in this day and age. To be an effective entrepreneur, you need to have a distinctive brand that will distinguish you from your competition. In this workshop, Martin Vo will personally guide you through the creative process of making your own mark on the world with branding. Whether it’s branding for your company, your clients, or a personal brand for yourself, Martin will help you appeal to a variety of demographics to assist with your business ventures. He will be discussing the history of branding, the creative techniques to employ when crafting a brand, common pitfalls to avoid, and ultimately what constitutes a successful brand. 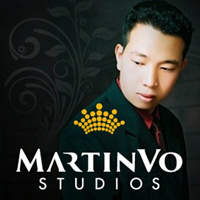 Martin Vo will give his personal experiences in creating his own brand and how it has helped bolster his business. His story will serve to show you how to correctly evaluate the effectiveness of your brand or how to properly create a new one. Martin will share how he established his own company, CineCrown, from the ground up. From humble beginnings, to now charging clients upwards of $27k+ for wedding videos and photos, Martin’s success story will inspire your own endeavors as an entrepreneur. Martin grew up in Sacramento and has earned a handful of Bachelor degrees and awards. Martin holds a Bachelor of Arts in Photography and Cinematography Studio Arts and a Bachelor of Science in Graphic Design. From the age of nine he has won a multitude of artistic awards in painting, sculpting, photography and video. Shortly after arriving in Sacramento, he won the prestigious Top Ten Youngest Artists in Sacramento Award. One of his most recent awards was winning the Gold Medal and Second Place at the Wedding Portrait Photographer International event. Martin has both the education and experience to produce products that will exceed his clients’ vision. 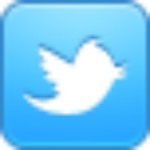 Martin continues to acquire knowledge of constantly evolving technology and strives to always adapt. Martin is currently the Creative Director of Photography and Film at CineCrown. The technique of compositing different moving video pieces into a finished product doesn’t have to be a mystery. With the explosion of Adobe Creative Cloud users, Master Trainer Gary Vautin provides a look at one of the most powerful tools in the Adobe video arsenal, After Effects. Improve your show’s open. 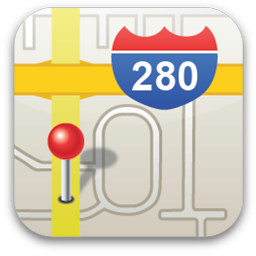 Dress up your commercial’s graphic content with movement. Take Photoshop pieces and make them come alive. 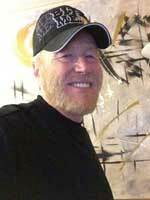 Gary Vautin, owner/operator of GVTV, created and authored many of the local commercials you’ve seen on Sacramento area television for two decades. He was the original producer/director the California Lottery’s Big Spin TV show, and handled the live Super Lotto satellite broadcasts for a dozen years. Vautin was News 10’s Creative Services director before opening his own business, and all along, has been teaching After Effects in the Radio, TV and Film Production Department at Cosumnes River College. See some of his techniques and ask questions about taking your video project to the next level at next Wednesday’s Sacramento Video Industry Professionals meeting. Topic: What does Preparation, Pre-Production and Organization have to do with Storytelling? EVERYTHING!!!! 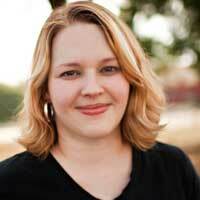 You won't want to miss meeting Rachel and her way of inspiring you to be a better storyteller. Rachel Clark grew up in the world of production and media, as the daughter of television engineer. She caught “the bug” for production and storytelling at the age of 15, was able to train under some of the most talented and standup people in the business. She graduated from California State University, Chico with a Communications/Media Arts Emphasis Degree and has worked with a variety of organizations and nonprofits. She toured with live stadium and arena event production across the US, creating regional productions for Comcast, and working as the Director of Communication Arts at Bridgeway Church. Rachel’s love of story and understanding of good, efficient production practices combine to create a collaborative, effective process and product. Rachel is currently the owner and lead storyteller of 54 Films, LLC. She is also a producer and editor on the upcoming feature film, “In God We Trust,” in partnership with Kejo Productions, Nu Artifact Films, and Bridgeway Films!! !